I had an unexpected surprise when the 9th Volume arrived for me at Uni on Friday. I admit to being a שאלות ותשובות junkie, especially the high quality stuff. Since Reb Moshe Feinstein’s passing, one of the late and great original Poskim is no longer publishing his decisions. Thankfully, his illustrious family, in concert with other Talmidei Chachamim have now published two posthumous volumes. The first one (and no doubt this one) attracted derision with claims of inauthenticity. I don’t buy those arguments. These two volumes (volumes 8 and 9) are, in my opinion, the authentic opinions of Reb Moshe ז״ל. The introduction to this volume describes the very careful process involved and provides an answer to those who rashly dismissed תשובות simply because the writing style was not that of Reb Moshe. They somehow forgot that towards the end of his life, R’ Moshe was old. I’ll share one Psak which I found interesting and perhaps counterintuitive. 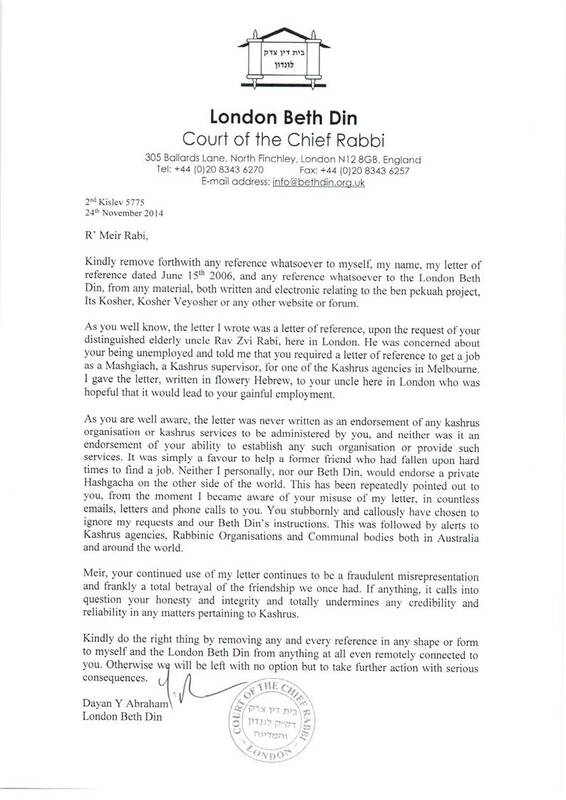 Consider the case of someone who has davened in a Shule regularly for over 12 months and now wishes to claim that he is entitled to lead the davening because he has become ל״ע a mourner. Is the person entitled to this privilege if they are not a formal paid-up member, as opposed to a regular מתפלל? Reb Moshe differentiates between a poor person and Shules which don’t have an established policy on the matter. Clearly it is not proper to consider a poor person who cannot afford a paid membership as a “non-member,” R’ Moshe quotes in the name of the Shach. An interesting case is one where a Shule wants to set up a rule saying that it is really only the right of financial members as opposed to non-financial regulars who may lay claim to the right of leading the davening. Reb Moshe makes the point that a new policy cannot be enacted by the board of the Shule! Furthermore, it should be determined by a democratic vote such that the votes of each NON financial but permanent member is counted! In other words, even an AGM or extraordinary meeting of all financial members is invalid in determining policy unless it counts the votes of regulars who are not financial members! Reb Moshe explains that this process is only necessary when there are non trivial numbers of regulars who are non financial members in the daily davening. What about someone who has been refused membership but is a regular? Reb Moshe says that he does have a right to lead the davening even though he isn’t a financial member, because he is in fact a regular who has been excluded from the ability to pay. Reading between the lines, it seems to me that each Shule that has a constitution, might want to run a copy past a recognised Posek!